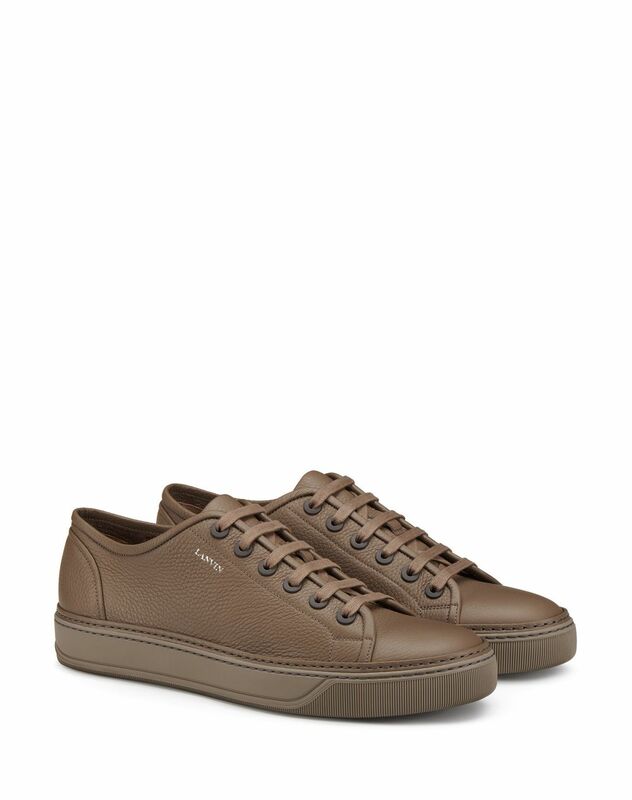 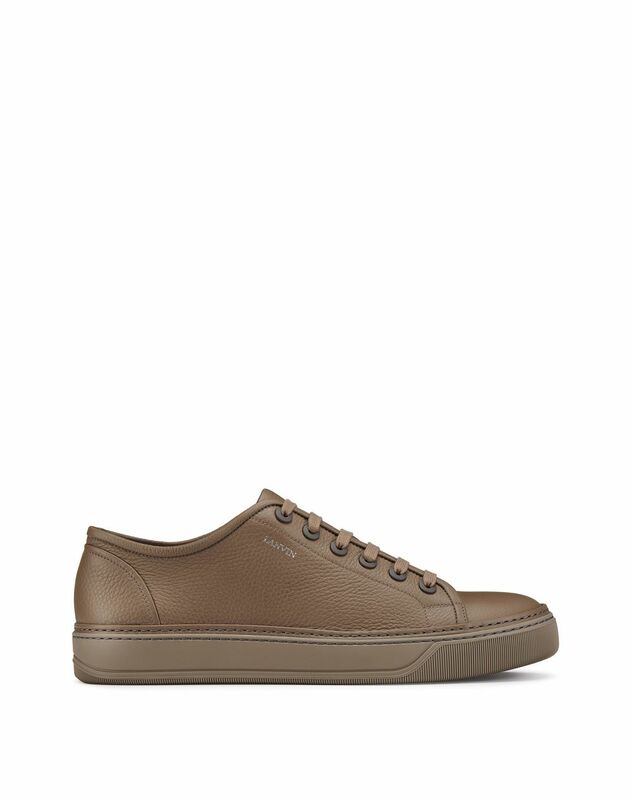 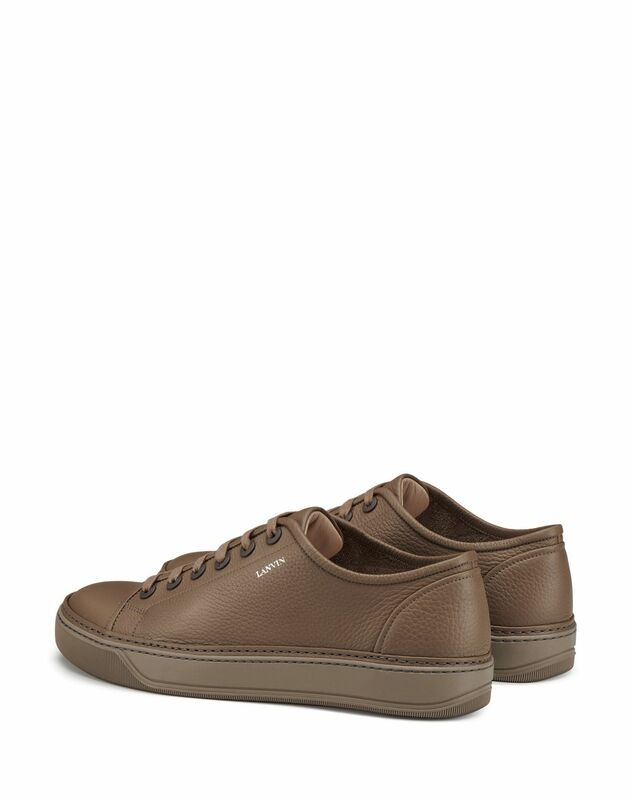 Light khaki low-top sneaker in grained bull calfskin leather, smooth calfskin leather cap toe, topstitching and laces in tone-on-tone cotton, beige 100% calfskin leather lining with logo, and exclusive tone-on-tone rubber sole. 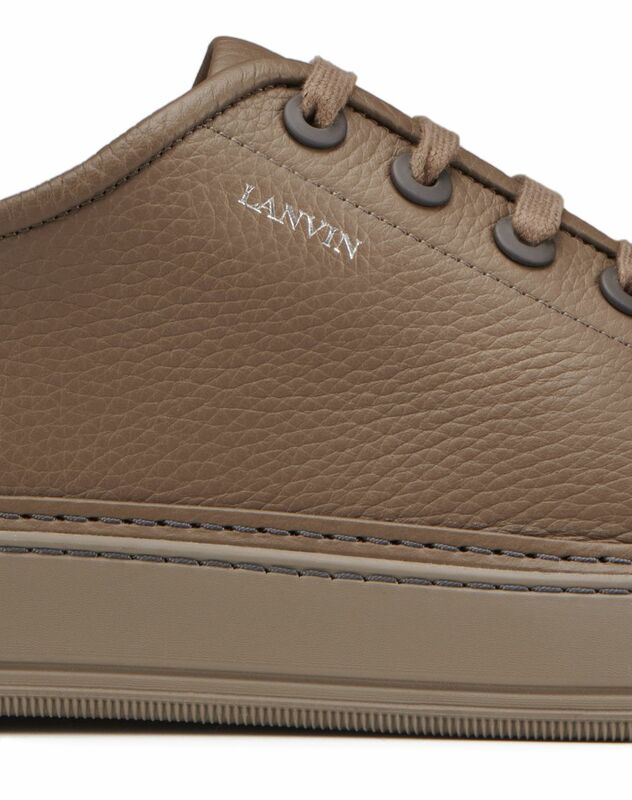 This low-top sneaker in grained bull calfskin leather puts a new twist on the DBB1 sneaker, an iconic model from Lanvin. 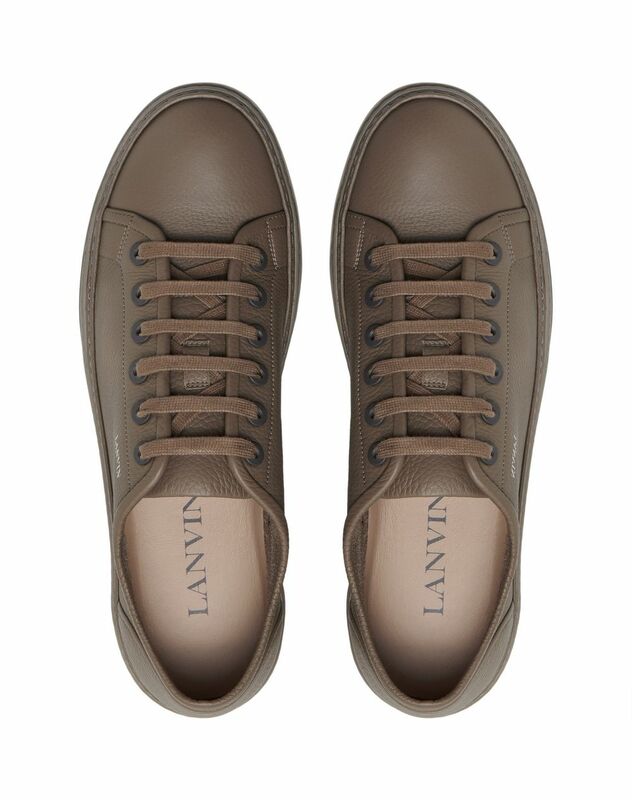 This design offers contemporary and casual flair, while the discreet Lanvin logo subtly leaves the brand’s mark on the sneaker.